If you've been doing macOS analysis, you are definitely familiar with the (now not so new) serialized plist format also known as an NSKeyedArchive. There are parsers available to extract data from this format, such as the ccl_bplist from Alex Caithness (some more sophisticated ones listed at the bottom of this post). I've been using this library in mac_apt and other projects too. That is all old news. I always like to manually verify the results of my code by looking at the raw plist values to make sure my analysis programs parsed the right values as well as if they missed something. That isn't possible with NSKeyedArchives. The ccl_bplist parser is great if you want to explore the structure of a plist interactively with python or programatically. What it does not do is auto-generate and save the deserialized version of that plist as a new human readable plist file. So that is what I set out to do yesterday. Long story short, the code is available on github here. Below are screenshots showing an NSKeyedArchive sfl2 file (Figure 1) and its deserialized human readable form (Figure 2). This creates a problem as biplist cannot distinguish between binary blobs and strings as they all appear to be strings and it fails when it encounters a byte that cannot be encoded as a string. No problems with python 3 as these are different distinct types there. Since writing this, I did find another library (bpylist2) that has similar functions, reading/writing binary plists as well as creating/reading keyed archives. I haven't tested it yet. (Update) Our good friends at Aon also maintain a library for plist parsing which seems pretty solid and worth checking out here. This week Phil Moore made an excellent finding (link here), one that most of us have seen for years but not investigated. Those $I files that seem orphaned/abandoned without explanation now have one. 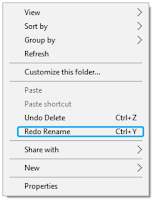 Phil notes that every time a file/folder is deleted and then restored, the $I file stays behind in the recycle bin. This post is about some follow up testing and results. I'm not reproducing all the output here, but only the summary. 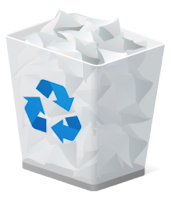 Here are a few ways to send files to the recycle bin. Remember you cannot do any operations using the command line (as that operates directly at the file system level and does not use the recycle bin abstraction). Only the 4th method (Undo Delete) results in deletion of the $I file. The other methods leave it behind. I believe this to be a windows bug. 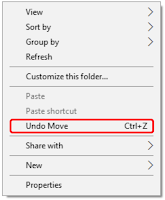 Interestingly, when you Restore a file from the bin (right-click & Restore), then right-click on the desktop (or in any folder), the context menu has an new item called 'Undo Move'. It does NOT say 'Redo Delete'. 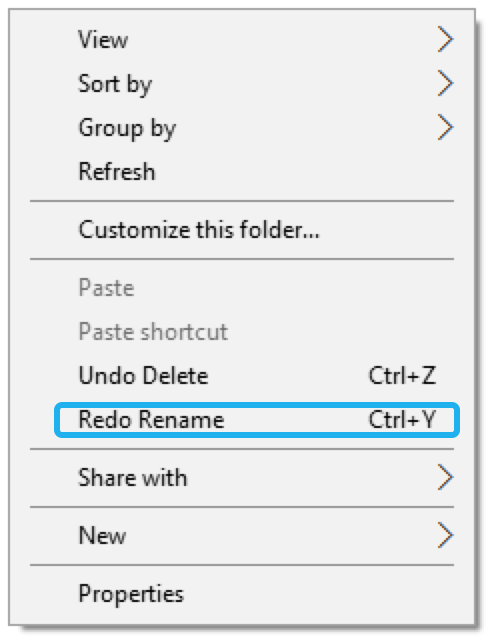 For every other action, you will see a 'Redo ACTION' in the menu (see figure 2). 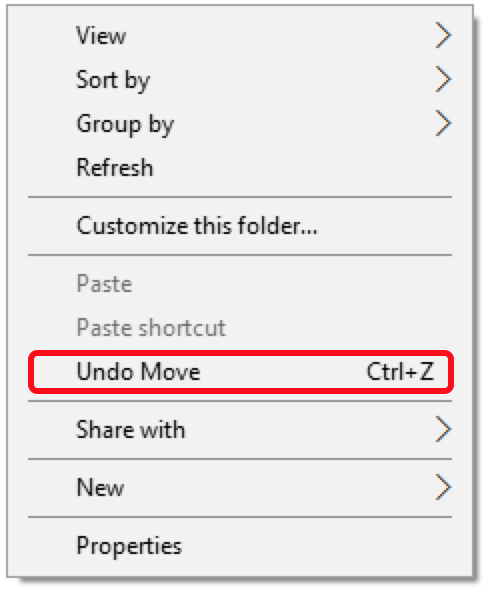 So I believe when you restore a file, windows just performs a file move (on the $R file) and thus marked it as a move in the last performed action. 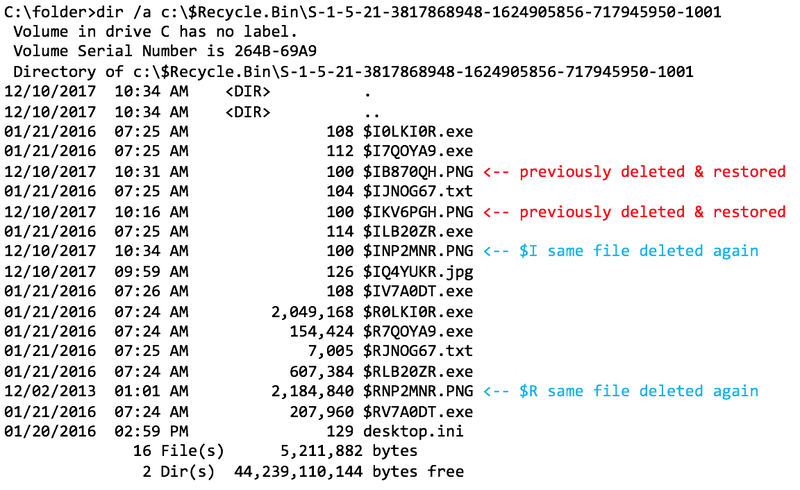 Now, clicking on the Undo Move will result in sending the file back to the recycle bin but as a new $I & $R pair, as if it was an entirely new delete operation. In figure 3 below, you can see multiple abandoned $I files after doing this multiple times (delete, then restore). Let us know (comments or twitter) if you know of more ways to delete/restore. If you've ever looked at removable media and found several hidden files which start with ._ and there exists one for almost every file (or folder) on the disk, this is the result of having that media being used on macOS. macOS keeps a copy of file metadata in a separate area, known as Extended Attributes (xattr) on HFS+ or APFS. However, when writing to external media which is not formatted as HFS+ or APFS (thus not having the capability to store extended attributes), it will write this information out as a separate file which will have the same name, just prefixed with dot-underscore ._ as seen in the screenshot below. While this is well known for many years, this information is often overlooked in a forensic investigation. On media that has interacted with both macOS and Windows (or even Linux), macOS will create these files and delete them too when the original file is deleted. However, if the file is deleted or renamed on Windows or Linux, then the dot-underscore files will be left behind untouched. A while back, Lee Whitfield touched upon this here specifically pointing out its use for knowing the date & time that a file was copied onto the media. However, there is useful information inside the file too. 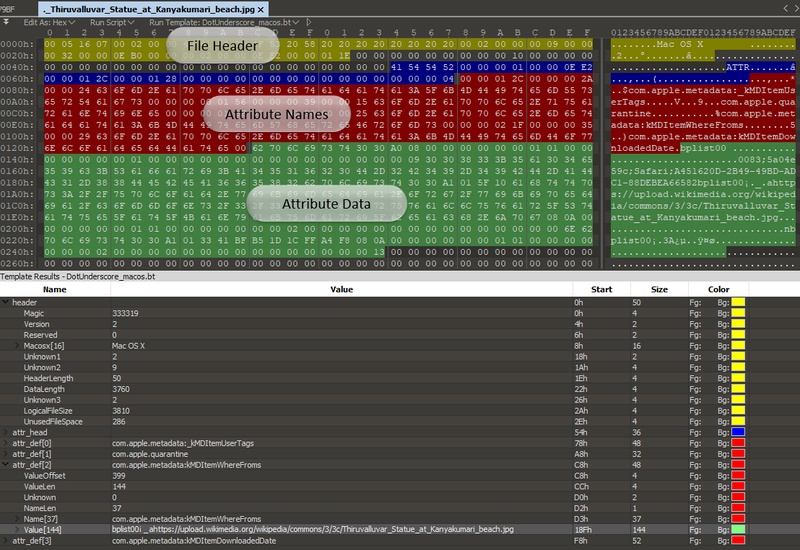 This file can contain useful metadata such as kMDItemWhereFroms (URL of file if downloaded from internet) and kMDItemDownloadedDate (Date & Time when it was downloaded) among other extended attributes. After a bit of reverse engineering, I wrote an 010 hex editor template to parse this information, it is available at https://github.com/ydkhatri/MacForensics/blob/master/DotUnderscore_macos.bt. In the screenshot below, you can see it being run on one such file. The template does not parse the plist for you, you can export it out and open in any plist viewer to view the human-readable date value. *The 3rd item in com.apple.quarantine's value (separated by ;) is the Application (agent) name which downloads the file. For more details on this, read Howard Oakley's blog post. On macOS, the spotlight database is a central database holding metadata of all files/folders that macOS indexes and is always located at the root of any disk under /.Spotlight-V100. As with the other spotlight database, the files that hold the information are store.db and .store.db. Mojave (10.14) isn't the first version of macOS to include this database. This appeared first in High Sierra (10.13). However no email metadata was seen with a single configured IMAP account in the Mail app. Since this is a test environment with very little activity and almost no apps other than those that come with macOS, there is likely to be a lot more metadata from different apps in this database on real world systems. Reading Apple's documentation here and here seems to suggest that this is the implementation of functionality intended to allow app developers to provide in-app content searches and includes the ability to define metadata to do so. Items indexed are not required to be files. which housed all the *.webhistory files. See pic below. The individual files were plists which were then indexed by spotlight. That folder now does not exist and in its place we have the new spotlight database. Using mac_apt's single_plugin script to only run the spotlight plugin over individual store.db files, we can easily parse the database. There are quite a few fields, some more important than others. Below are some screenshots showing selected data (notes, safari history, and news). mac_apt gives you the data as a spreadsheet, sqlite db and a flat text file too (similar to mdls output). mac_apt's spotlight plugin has been updated to automatically handle/process these user spotlight databases now. Spotlight is the name of the indexing system which comes built into macOS. It is responsible for continuous indexing of files and folders on all attached volumes. It keeps a copy of all metadata for almost every single file and folder on disk. Thus, it can provide some excellent data for your investigation. While much of the same information can be obtained if you have access to the full disk image, it is known that there is information in this database that is not available elsewhere. Details like Date(s) Last Opened or Number of Times (an application or file) is Opened/Used are not available anywhere else on the file system. Unfortunately though it uses a proprietary undocumented format, and no publicly available code existed to read it. So over the last few months, I’ve been studying the file format of these databases and have created a tool/library to read and extract the data contained within. The format of the database will be discussed in a later post. For those familiar with macOS, you know this data (contained in the database) can be obtained on a locally mounted volume using the macOS built-in mdls utility. However to do this, you need to mount your disk image on a mac to do so and the utility can only be run on individual files/folders, not the entire disk. It can be run recursively (with a bit of command line fu) on the entire volume but the output is not easy to read then. If you don't prefer to do that, run spotlight_parser instead. Just point it to the database files which are named store and .store (located in the /.Spotlight-V100/Store-V2/<UUID> folder) and let it parse out the complete database for you. Here is a screenshot of spotlight_parser running. Depending on how much data is contained in the database, this can take anywhere between a few seconds to a few minutes (5-10 on very large disks with lots of files). Once done, you will have 2 files as output. One is a text file (prefix_data.txt) containing the database dump of all entries. The other is a CSV (actually tab separated) which tries to build a path for every file/folder using inode number (CNID) from data available in the database. Since not every single folder may be included, some paths may not resolve and you might get ..NOT FOUND.. in the path sometimes along with an error on the console as seen above. In the prefix_data.txt file, you will see some XML content (configuration information) at the beginning followed by database entries for files and folders. Below is a snippet of the prefix_data.txt file, showing only output for a single jpg image file. Here the text in Red is metadata pertaining to a single entry in the database, including the date and time it was last updated. This is followed by the metadata itself. The items in Blue are information only available in the spotlight database. The last two may be of particular interest to an investigator. Note - The screenshot above is not from any special version of the code, actual output is plain text, it has no coloring! Colors were added just for explanation. The spotlight_parser has been incorporated into mac_apt as the SPOTLIGHT plugin. In mac_apt, the output is also available in an sqlite database making it easier to query. Mark McKinnon has forked a version of this library and also added sqlite capability, it is available here. While this exposes the data and makes it available, it is still not easy to query. Perhaps one of these days, I will write a GUI application with drop-down boxes for easily accessing and querying the output data. While all versions of macOS have provided bash_history for users, since macOS 10.11 (El Capitan), we get even more information on terminal history through the bash sessions files. This is not a replacement for the old .bash_history file which is still there. Even if there were no anomalies and only a single terminal was always in use, there is still the issue of how do I know which command was run when? With Bash sessions, macOS gives us more data to work with. Since El Capitan, every new terminal window will be tracked independently with a TERM_SESSION_ID which appears to be a randomly generated UUID. Each session can also be restored when you shutdown and restart your machine with the "Reopen windows when logging back in" option set. Perhaps for this purpose, session history (a subset of bash history) is tracked and saved separately on a per session basis. You will find 3 files for each session as seen in screenshot below. Some (but not all) of the problems associated with reading .bash_history are now gone. Theoretically, as bash history is now also stored on a per session basis, this should make it trivial to track commands run in different windows (sessions). If you were expecting history for a single session in its .history file, then you thought wrong. The .history file contains all previous history (from earlier sessions) and then appended at the very end, the history for this session. So can we reliably break apart commands per session? Is the sequence of commands intact? Let's run a small experiment to find out. We create two sessions (2 terminal windows) and run a few commands in each session. Commands are interspersed, so we run a command in Session-1, then another in Session-2 and then again something in Session-1. We will try to see if order is maintained. The start and stop time for a session is available if you look at the crtime (File Created time) for the .history and .historynew files. These are in bold in the screenshot above. By comparing the data in various .history files (from different sessions), you can find out exactly which commands belong to a particular session. See pic below, where lines 1-181 (not shown) are from older history (other past sessions). Lines 182-184 are from Session-1 and are seen in its history file at the end. Session-2 (closed after Session-1) has the same format, ie, old session history with this session's history appended (lines 185-189). This is easily done in code and the mac_apt BASHSESSIONS plugin parses this information to break out the individual commands per session, along with session start and stop time. While you still cannot get the exact time when an individual command was run, the sessions functionality does give you a very good narrowed time frame to work with. While we do not have the absolute order of commands ("cp -h" was run before "printenv"), we do have a narrowed time-frame for the set of commands ("cp-h" run between 9:51-9:59 and "printenv" run between 9:44-9:57). This is a big thing for analysts and investigators! The notes app comes built-in with every OSX/macOS release since OSX 10.8 (Mountain Lion). It is great for quick notes and keeps notes synced in the cloud. It can have potentially useful tidbits of user information in an investigation. Depending on version of macOS, this can vary. Sometimes there is more than one database, probably as a result of an upgrade! But only one is actively used at any given time (not both). So far, we haven't seen any duplicate data when two are present. There does not appear to be much difference between the database types. The following tables have been seen. Each note can be associated with either a local account or an online one. The following account information can be obtained. Individual note data is stored in ZNOTEBODY and the rest of the tables provide information about note parent folder, sync information, and attachment locations. Notes converts all data to HTML as seen below. The graphic below shows how you can find and resolve note attachments to their locations on disk. If an attachment is present, ZNOTEBODY.ZHTMLSTRING will contain the UUID of that which can be matched up to the ZATTACHMENT.ZCONTENTID to get a binary plist blob. When parsed, you can find the full path to the attachment in the plist. The dates and times fetched are Mac Absolute time, which is the number of seconds since 1/1/2001. Here UUID is the unique identifier for each attachment. The database scheme is different here. Only account name and identifier (UUID) is available. To get full account information, this will need to be correlated with the account info database stored elsewhere. Note data is available in the ZICNOTEDATA table. That ZICNOTEDATA.ZDATA blob is gzip compressed. Upon decompression, it reveals the note data stored in a proprietary unknown binary format. As seen below, you can spot the text, its formatting information and attachment info. If you are looking for an automated way to read this, use mac_apt, the NOTES plugin will parse it.